*On Tuesday, December 30th at about 9:30AM while Caye Caulker Police were conducting routine checks on the San Pedro Belize Express Water Taxi. As a result a female was escorted to the Caye Caulker Police station where a search was conducted on her bag. Police found three black plastic bags all containing a green leafy vegetable substance suspected to be cannabis. The suspected cannabis was weighed amounting to 1,303.6 grams. 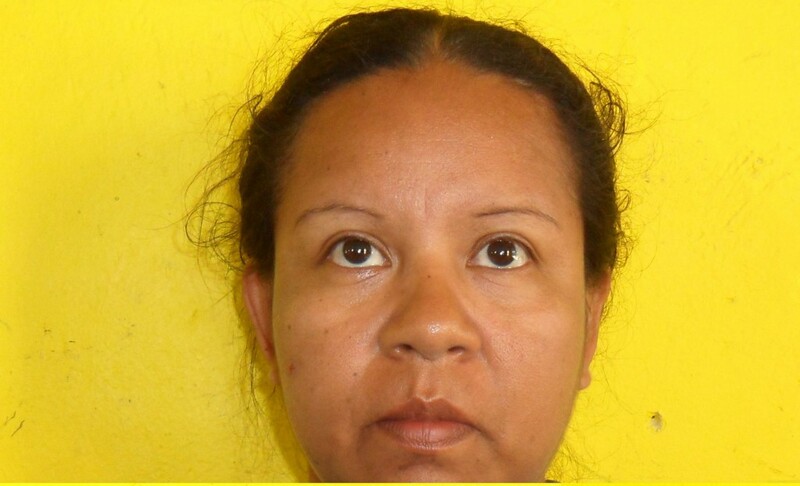 She was identified as 37-year-old Aura Beatrice Moro of Santa Cruz Area, Santa Elena Town, Cayo District. A thorough search was then conducted on her person which led to the discovery of a white paper towel which contained two transparent plastic bags containing a white powdery substance suspected to be cocaine. The suspected cocaine was then weighed in her presence which amounted to 10 grams of cocaine. Aura Beatrice Moro was arrested and charged for two counts of Drug Trafficking. * On Tuesday, January 6th at 7AM, the San Pedro Police Department Criminal Investigation Branch (CIB) and Special Branch (SB) personnel conducted a stop and search operation one mile North of San Pedro Town on a 15 years old male minor who was found in possession of 0.8 grams of suspected cannabis. The minor was later formally arrested and charged for Possession of Controlled Drugs in the presence of his father. * On Tuesday, January 6th at 7:45PM, CIB and SB personnel conducted a routine stop and search on 35-year-old Ruben Mossiah who was found in possession of 1.1 grams of suspected cannabis. He was formally arrested and charged for Possession of Controlled Drugs. * On Tuesday, January 6th at about 7:40AM, CIB and SB personnel conducted a routine stop and search on 25-year-old Don Cadle who was found in possession of 1.1 grams of suspected cannabis. He was formally arrested and charged for Possession of Controlled Drugs. * On Tuesday, January 6th at about 7:30PM, CIB and SB personnel conducted a search on 32-year-old Julian Herrarte who was found in possession of 0.9 grams of suspected cannabis. He was formally arrested and charged for Possession of Controlled Drugs. * On Monday, January 5th at 10:20PM, CIB and SB personnel were conducting a stop and search operations on Laguna Drive. As a result, a search was conducted on 24-year-old Eli Sanchez who was found in possession of 1 gram of suspected cannabis. He was formally arrested and charged for Possession of Controlled Drugs. * On Monday, January 5th at 8:00PM, CIB and SB personnel conducted a search on 42-year-old Mario Jose Silva who was found in possession of 0.9 grams of suspected Cannabis. He was formally arrested and charged for Possession of Controlled Drugs. * A 27-year-old woman of Corozal Town reported that at about 8:45PM on Monday, January 5th while she was walking on College Road, Corozal Town, a Hispanic male approached and suddenly snatched her 10 karat gold chain valued at $400BX off her neck and then took off running. About 8:55PM she was making her official report when Corozal Police brought in a man whom she immediately identified as the person who took away her gold chain. 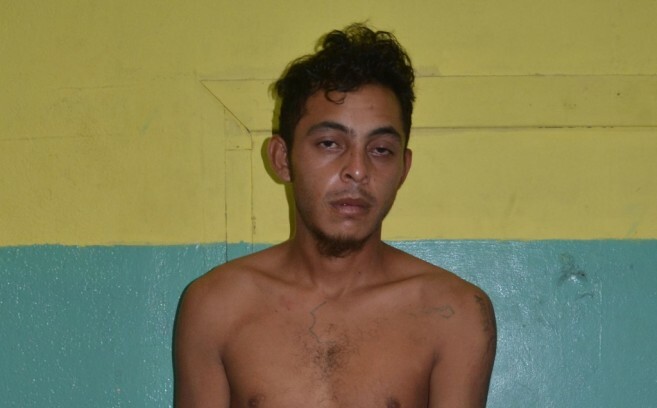 The male person was identified as 25-year-old Pablo Alejando Kumul of San Ignacio Town and San Pedrito Area, San Pedro Town. The gold chain was recovered from the accused, and he was arrested and charged for the crime of "Theft". He appeared before Magistrate Hurl Hamilton in Corozal and pled guilty. He was fined $1,000BZ plus $5BZ court cost - fine to be paid by Saturday, February 28th or in default 10 months imprisonment. Kumul had three previous convictions, all for possession of drugs in San Pedro Town and Corozal Town.